David: One of the books I always wanted to write was about the blank spaces on official maps. The Government places where the map lies and says nothing, leaving this empty place for everyone to project onto – to imagine all sorts of conspiracies and secret things. 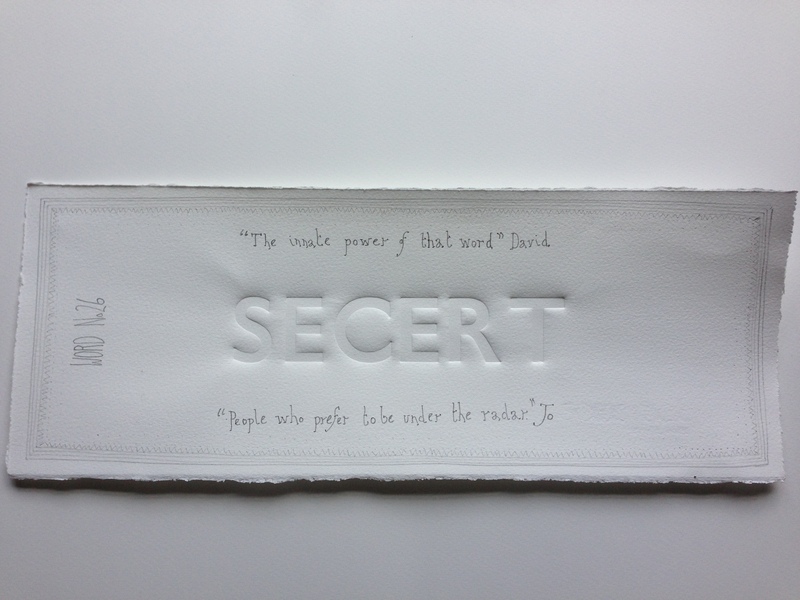 I was looking through old notes for the project (provisionally called Off The Map) and I was struck by how many times I had used the word secret. Was it just sloppy writing or was it because of the innate power of that word to entice us? We all seem to instinctually respond at some time to idea of learning a secret, get some thrill at having discovered a secret place. I love to dance with mystery and there are times when the word secret can sometimes be that perfect invitation to the ball. Jo: I too love those empty spaces on maps. I once did a project for The New Art Gallery Walsall called The Sliver Route. It was all about exploring the white, empty, sliver of space in Walsall, on the A-Z map. Of course it wasn’t empty, it was full of extraordinary people and things, secret from the rest of the world, I made it into it’s own little country, with a map, drawings etc. It was full of those activities that take place on the periphery of our communities, by people who prefer to be under the radar, to be secret. This entry was posted in 50/50 and tagged map, New Art Gallery, route, secret, Walsall, words. Bookmark the permalink.